If the switching regulator fails to work or fail to start, then it is usually of the electrolytic capacitor is storing charge. There are habits of some engineers dumping electrolyte capacitor like this using solder. This is actually a poor habit. Because without them knowing things like this sometimes can lead to broken solder element. 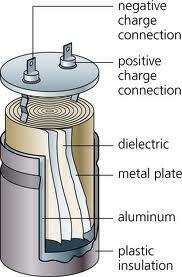 Note that the voltage on the electric charge of the electrolyte capacitor is 300V. While working voltage 220v only solder element. If the charge on the electrolytic capacitors are still full and the 220u electrolytic capacitors or more then this electric charge can only damage the solder element. Another bad habit of throwing of the electrolytic capacitor is to download shortkan legs electrolyte capacitor with a screwdriver. It is no possibility of damaging electrolytic capacitor itself, in which connection leg electrolyte capacitor is no risk in it will burn. How should the dumping of the electrolytic capacitors? If the correct power supply to the problem fails to work, then the resistor is normally for a while we solder directly on the legs of of the electrolytic capacitor. And if the problem is ok, the new resistor is removed.